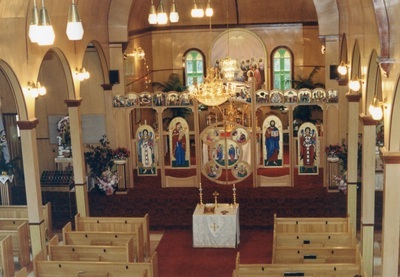 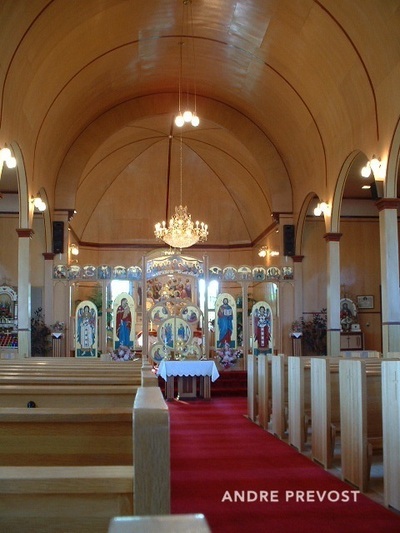 Andre Prevost designed the Iconostas for the Descent of the Holy Spirit Church in Derwent Alberta, to blend with the light wood tones of the church. 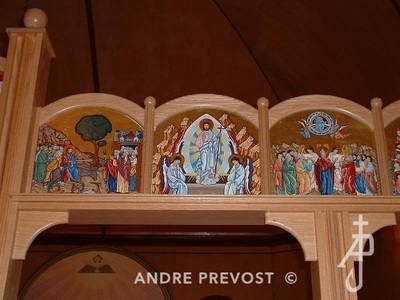 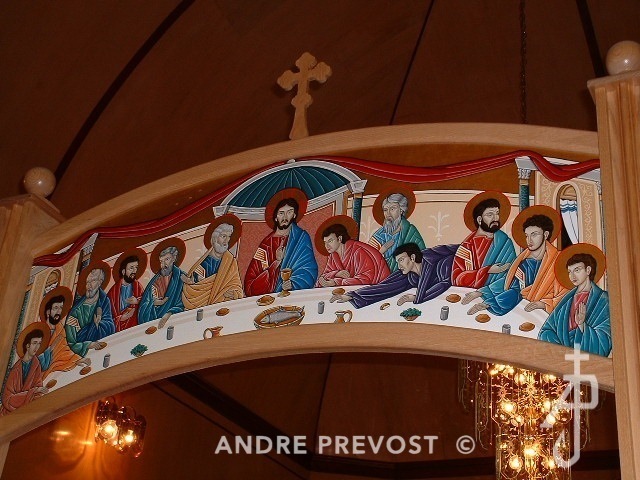 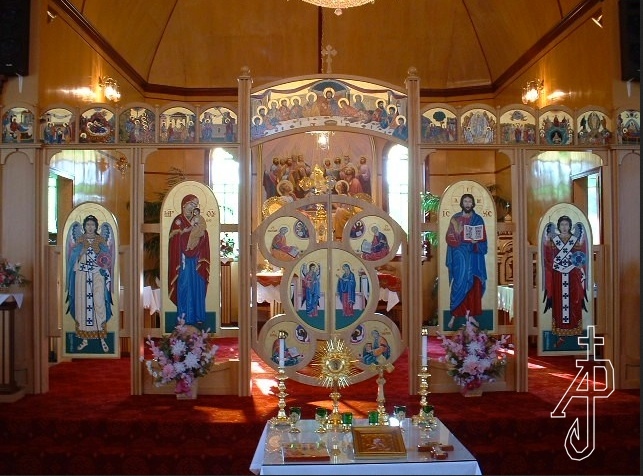 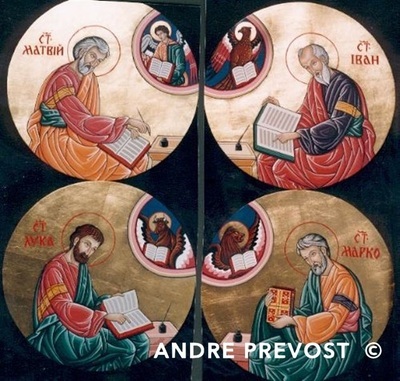 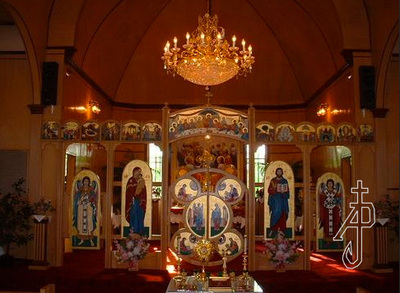 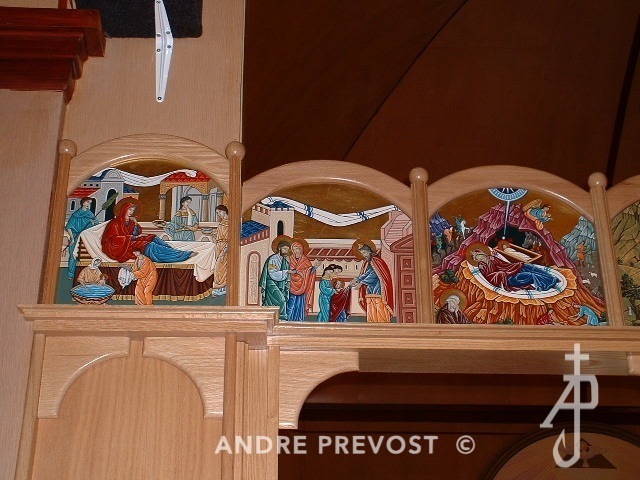 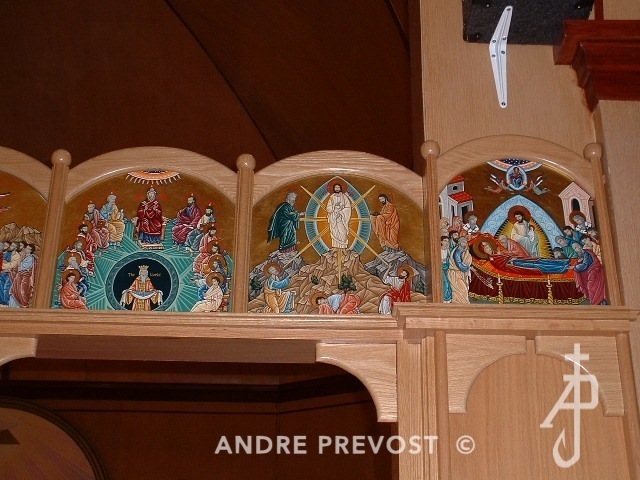 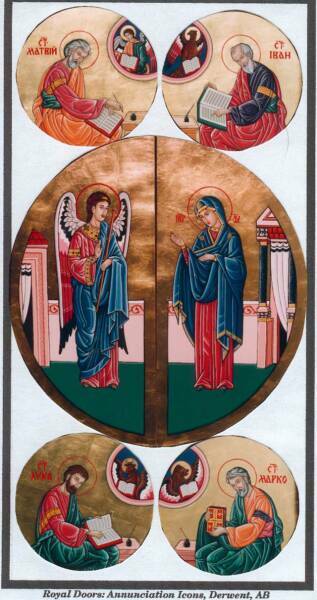 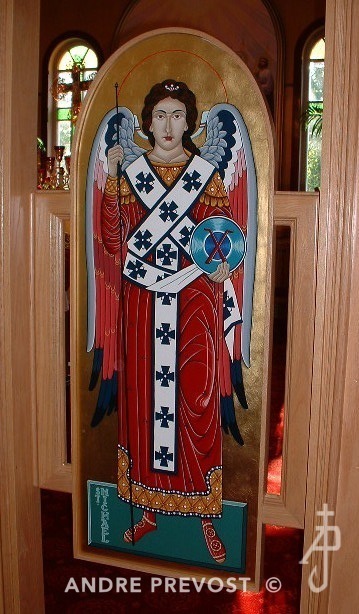 It was constructed by the parishioners and then the icons were written, added to the Iconostas as each was completed. The Iconostas was designed to blend in with the original light finishes of the church interior. 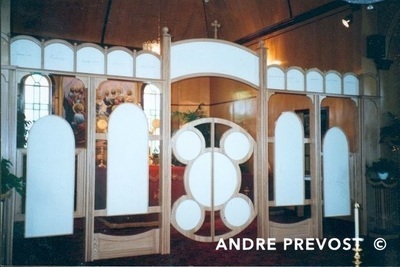 It also repeats the curved arch shapes within the church. 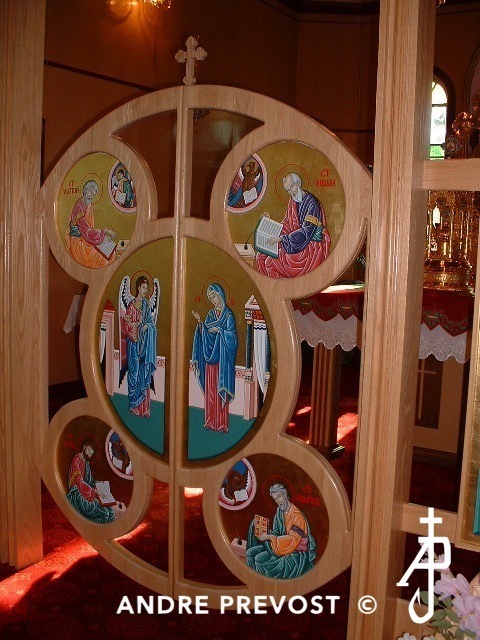 To incorporate the Iconostas with the then open sanctuary, and to maintain the Deacon Doors on either side as well as the 12 Festal Icons, you will note that the far end sections (where two other Fixed Icons are normally placed) are part of the existing sanctuary arch. 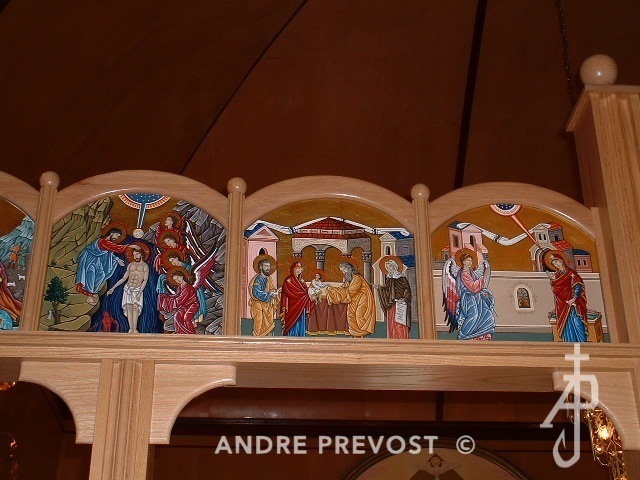 It helped to make the Iconostas look like an integral part of the church design and also permitted a properly supported and secured structure. 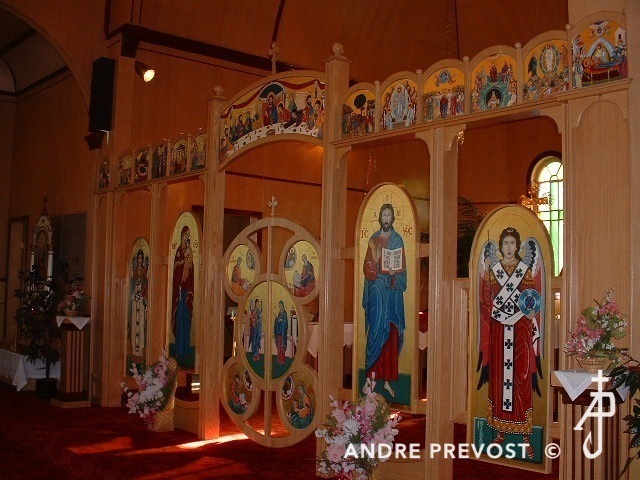 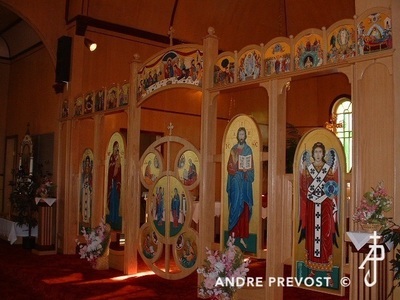 The Festal Icons on the far ends are just a bit narrower then the others in order to fit within the span of the existing arch.